If you’re one of the 128.3 Americans who commutes to work, you understand the time, hassle and frustration it can take to get from point A to point B. Recent statistics from the U.S. Census Bureau suggest that today’s commute is 20% longer than it was three decades ago, with workers taking an average of 26 minutes to arrive at their destination. That’s equivalent to nearly five full days on the road over the course of one year! Add to that the 17 hours a year motorists spend searching for parking spots and it’s clear that we are in need of a more efficient, less taxing journey to and from work. While ride-shares, mass transit systems and even work-from-home business models provide some solace, it will be the internet of things that will bring about a truly frictionless commute. With a combination of IoT-enabled connected transportation infrastructures (“smart” traffic signals and road signage, automated parking garages, buses and trains serving as Wi-Fi hotspots, etc.) and highly automated vehicles, the challenges we experience today will become inconveniences of the past. Imagine how less stressful your day would be without driving in circles to find a parking spot, or without sitting in bumper-to-bumper, stop-and-go freeway traffic. To put this futuristic utopia in perspective, let’s imagine what life will be like with a frictionless, completely connected commute — thanks to IoT technology. As you’re getting ready to head out the door to work, you stop for a moment to check the weather forecast on your phone. It’s pouring rain, which in the past would mean a long and sometimes treacherous drive to the office 30 minutes away. That’s no longer the case. You open an application on your phone, which uses real-time traffic and micro-climate and weather data aggregated from IoT-enabled roadside sensors. The app advises you to take an alternative route to work due to localized flooding in some areas, and syncs with your autonomous vehicle to guide you on your way. When you reach the highway, you see that the digital speed limit signs have temporarily reduced the recommended speed to 50 mph due to the rain and are cautioning vehicles to stay in their lanes. This advisory is based on real-time environmental data as well as speed data collected from other connected and autonomous vehicles on the road, and helps prevent bottlenecks and accidents. All the while, you’re able to relax and catch up on your work email, as your autonomous vehicle not only does all the driving, but also provides a soothing soundtrack to your commute upon detecting your elevated heartrate and blood pressure through biometric sensors in your seat. You’re about to reach your exit, but receive an instant alert through your dashboard console that a tree has fallen in the road. Instead of getting stuck waiting behind the obstruction like you would have in the past, you easily bypass the incident as your car guides you through a detour. With a few minutes to spare, you decide to make a quick stop at your favorite coffee shop. Years ago, you would have had to sit in line at a busy drive-thru, where the barista always got your order wrong. Not today. En route, you place your order through an in-vehicle app, which uses location-based services to automatically notify the coffee shop when you are nearby, so your order is ready when you arrive. You breeze through the drive-thru, grab your coffee and go. Your vehicle instantly pays for your order on your behalf, as your car acts like a digital wallet able to communicate with the shop’s smart infrastructure. With your favorite cup of coffee safely in your cup holder, you reach the parking garage near your office building. There is no need to circle around aimlessly for a spot. Instead, you pull up to a designated area at the curb, get out of your car and tap a button on a mobile app which triggers an automated parking system. IoT-enabled sensors and video cameras on your autonomous vehicle communicate with the parking garage’s smart infrastructure; and using precise, real-time location services, the car drives itself into the garage and parks itself in an available space. While your car safely parks itself, you walk to your desk — arriving early, stress-free and ready to start your day. At the end of the work day, you simply tap the button on the app again and your car drives itself back around to the front of the building to pick you up, like your own, private valet service. This frictionless commute may seem almost too good to be true, but it is very feasible. The catch is that cities and states need to start making preparations for connected infrastructures and piloting these systems now. Yes, we are expected to have 380 million connected vehicles on the roads by 2020, but that is only half the battle. We need IoT-enabled sensors, cameras, digital signage and other technologies in place throughout our roads, railways, cities, parking garages, mass transit systems and more to allow these vehicles to share, analyze and act upon real-time data. The first step toward making the frictionless commute a reality is for local and state governments to begin investing in technology architectures and physical infrastructures to power their connected transportation systems. From a technical standpoint, the key is to begin transitioning to more modern, secure and scalable networks, while building data center architectures that can handle the copious amounts of data generated by these systems. On the strategic side, transportation officials should begin by identifying a use case. It is best to first pinpoint a problem that is unique to your city or region. For example, if your city has notoriously terrible traffic congestion, you might want to start by integrating smart sensors on roadways that can alert drivers and connected vehicles in real-time of potential issues, and eventually even prevent accidents before they happen. 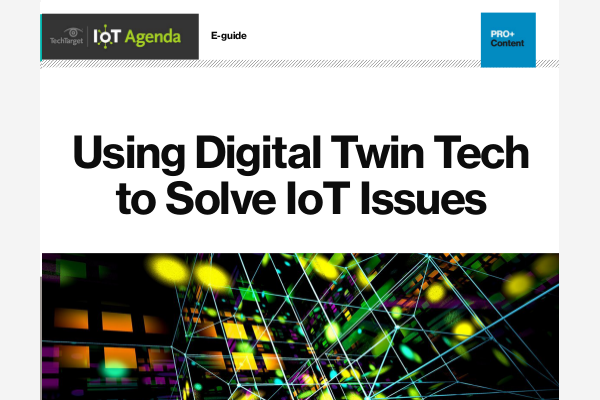 For more advice on how to prepare for connected transportation infrastructures, check out my previous IoT Agenda post. Meanwhile, I encourage transportation executives jumpstart their efforts, so we can bid farewell of the commute we know today and enjoy a stress-free, seamless ride to the office.